As we move out of the winter, more and more people are now thinking about their holidays. From beach holidays in Spain through to spectacular safaris in Africa, Brits will be heading to every corner of the earth this year – and nearly all will have to think about keeping their home secure while they are away. Intruders are adept at identifying homes that are temporarily vacant, and many holidaymakers return from their trip to find their home ransacked – which is clearly a terrible way to end a holiday. To prevent yourself from being one of these people, there are a few things that you can do though, all of which will discourage or prevent burglars from targeting your home. It’s really important that you have someone you trust – usually a friendly neighbour – come into your home regularly and do things like open the curtains, pick up the post, and generally check that everything is still okay. The simple fact that someone is going in and out of the house will be enough to discourage many burglars, as they won’t want to risk being disturbed mid-way through their nefarious deed. 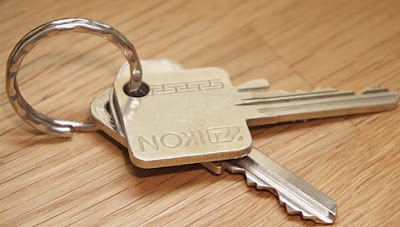 If you are going to have a neighbour or friend help you out, you are going to need to give them a set of keys. There’s no need to leave yourself short of a set though, as you can simply get one cut at Fast Keys, who provide a quick and affordable service. It might also be an idea to leave these keys with your neighbours after you arrive home, just in case of any future emergencies. You’re excited about your holiday, and that’s understandable. You want to tell everyone about how you’re going to swim with dolphins, or see the Taj Mahal. But try to only tell the people you trust, as you don’t know what ulterior motives some other people might have. By telling everyone and anyone, you’re basically advertising the fact that your home is going to be vacant, which is never a good idea. Also, don’t post your plans all over social media, unless you are sure that your settings are completely secure. Criminals are using sites like Facebook and Twitter more and more to find their next targets, so be cautious. Beefing up the security of your home doesn’t have to be an expensive process, as there are many things you can do for a relatively low price. For example, basic CCTV systems are now more than affordable for most people, and provide a real visual deterrent to would-be burglars, as do fake alarm boxes on the side of a building. If visual deterrents don’t stop the burglars though, you should ensure that you have the very best locks attached to your doors and windows, as well as anything else you feel is useful, such as door chains and bolts. Burglars don’t want to work too hard to get into your property, as the longer they try, the more likely they are to get caught. This is a really obvious point, but so many of us still forget to tuck away any valuables before we leave on holiday. Even more importantly, ensure that nothing of value – such as jewellery, consoles and cash – is viewable from any windows, as these will be like a massive dangling carrot for burglars, spurring them on to break in. Even better than hiding valuables is ensuring that they are not in the house in the first place. Remember that neighbour we mentioned earlier? Surely they have room to store a few things for you in their spare room, or under the stairs? Ever get that feeling that you’ve left the back door unlocked, or that you forgot to close the bedroom window? Well, join the club, as most people heading away on holiday have the same worries. By repeatedly checking all potential entry points though, you’ll have peace of mind as you head away – plus there will be no chance of a burglar getting into your home easily. The best way to check your home is to work methodically, from room to room, physically checking all windows and doors, and not simply relying on sight alone. If you are concerned that you’ve left something open, a quick call to the neighbour should be enough to sort the problem though. So, there you have it: five great ways to ensure that your home is as safe as possible when you head off on holiday. Just a few simple steps and you’ll be free to enjoy your week in the sun!